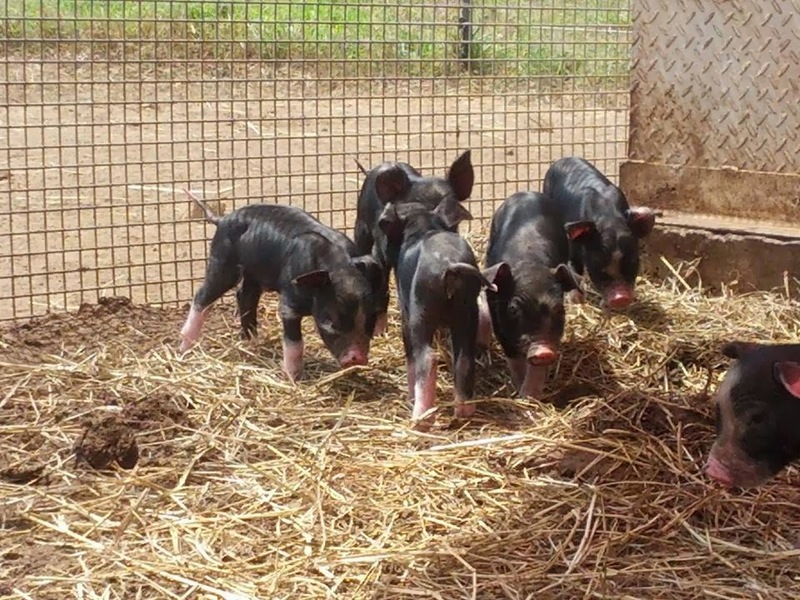 This litter are actually going to a free range farm that specialises in Berkshire pork. Some will make up their Christmas ham orders, the female will be a future breeder. But either way it is good to know they are going to a good home, however long it maybe. Funnily enough, the arrival of piglets always draws attention. And prompts the questions and conversations; How difficult are they to rear? Look after? Is it that different to store bought? Have we ever costed one of our own? … So I felt it was time we discussed this again. 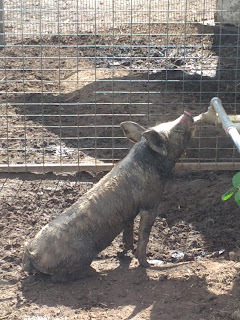 A pig’s requirements are pretty basic; Secure environment, basic shelter, clean water, food and company… But some are easier to achieve than others! 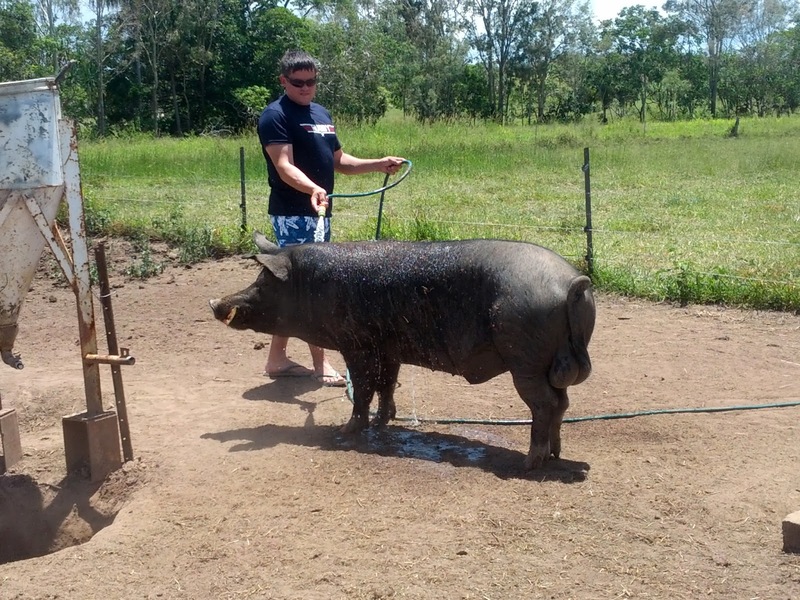 The first question I usually ask is; What do you require from your pigs? What I mean is, consider what you are trying to achieve. - Are you looking for fast turn around and meat production or are you looking to rear a slower growing quality product. - How much room would they have? - Inside or out? As some breeds are better suited to more space or outdoors. Also check with your local authorities as whether you can keep pigs (as with any animal). Here we are registered with DAF www.daf.qld.gov.au and have a 'pic' number (property identification code). Also the loca council allows pigs for domestic use in rural zones. 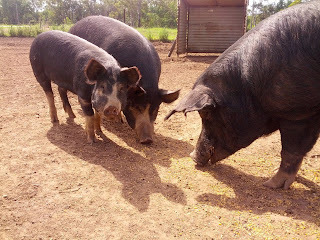 We rear Berkshire pigs. These are a rare, heritage breed (although becoming increasingly popular with free range producers and individuals). There are plenty of great heritage breeds out there that became unpopular or did not suit more modern commercial practices. Each has their own traits- advantages and disadvantages. 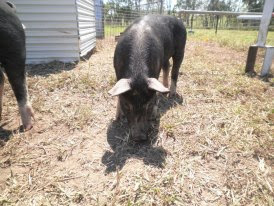 Berkshire's are considered slow growing which is ideal for smallholding; as we are not seeking quick turnover or the task of containing larger animals. And slower growing, resulting in more flavour! They are also a coloured pig. So unlike commercial pink or white breeds they do not suffer from sun burn etc. and therefore live and thrive outdoors. I am being careful about referring to our pigs as ‘outdoors’ as opposed to ‘free range’. As we do supplement their feed (and cannot guarantee free range source) but also as we are not commercial we are not ‘free range’ accredited. However they do roam in the paddock; wallow, root, run, play and forage for themselves- again not all breeds can graze. 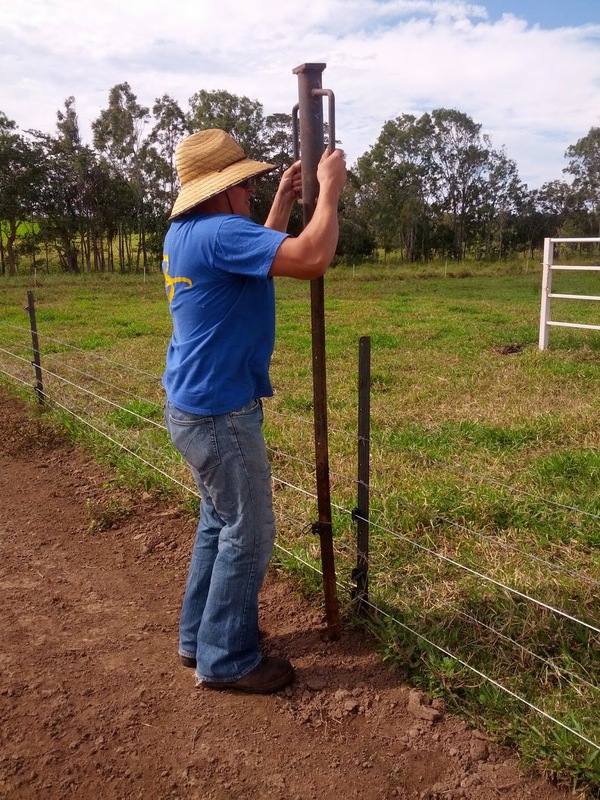 Ours are secured using barbed wire and electric fencing. This allows us to manipulate the pen; changing its shape, so we can allow sections to recover and propagate more fodder. A great thing about pigs is they ‘recycle’ your scraps. And if you feed a pig tomatoes for example and then allow their toilet area to rest, you will often find tomato plants growing f their own accord! 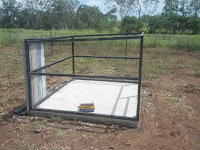 For piglets (pre-weaners) we erect a temporary pen around one of the shed using weld mesh panels. 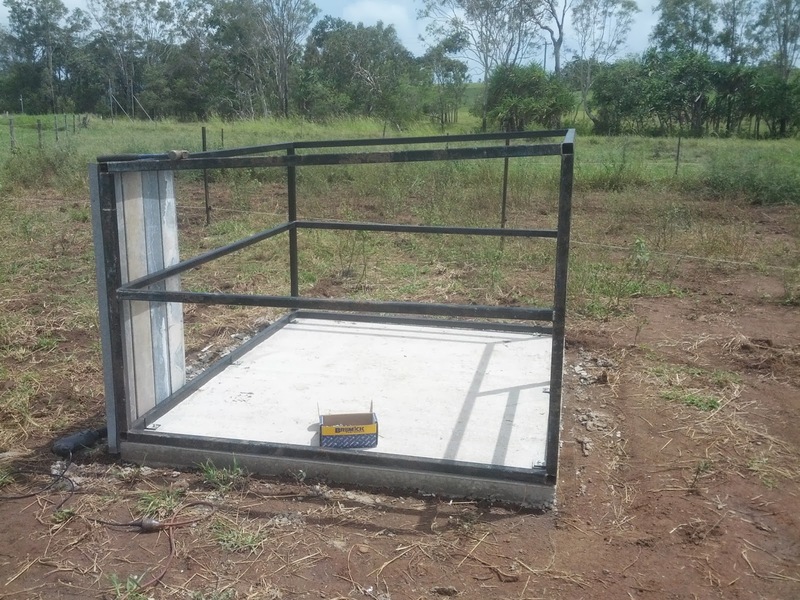 These are more secure for keeping little piggies in, and stops the boar from hurting them too. Once they are of weaner age, we begin ‘free range’ time when we are home, returning them to the pen at night etc. until they are ‘educated’ with the fences. I do stress the basic part of this statement. We started out with a movable, temporary structure and this is more than sufficient for a grower. 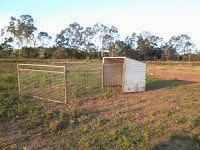 We gradually established more permanent sheds for farrowing females over time. As we wanted them to have a solid, secure dry shelter to nest in. Clean water, is the requirement most people are surprised by. 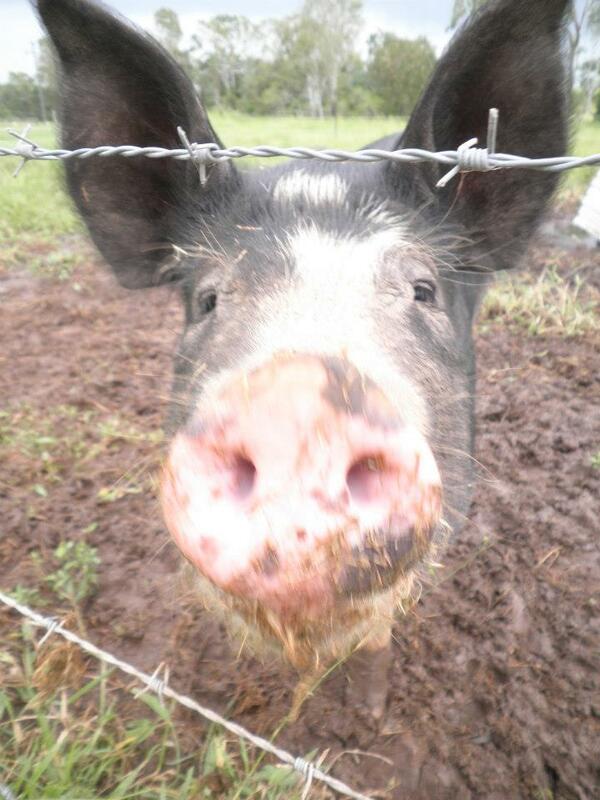 As pigs are known for wallowing; hence the phrase “happy as a pig in mud” (or other variations). Pigs wallow as a means of cooling their body temperature, the mud also creates a natural protection against the sun; like sunscreen. And they will sully a water source to carry out this basic instinct. They do not however like drinking dirty water. And therefore need a clean source, that they cannot contaminate, so they do not dehydrate. We have repurposed these pods and industrial equipment, used for molasses and dust as self-dispensing water containers. Each holds between 3- 7 days water (allowing for wallowing). As they are smart and will learn how to dispense the water, so they may still lie in some of it! Food, is probably the easiest. The main thing to know is domestic pigs for consumption should not eat blood or bone. As these have been identified as causing issues/diseases in livestock. And as natural omnivores; wild pigs do consume meat and domestic pigs will if given it. Another, less known one to avoid- Avocados, as the skins of these are toxic to all mammals, and the flesh is toxic to most animals- pigs, dogs, chickens! I have also read that banana skins can be, but understand that the flesh should be fine. So ours forage on grass (and whatever naturally propagates in their pen, when rotating). Kitchen scraps; peels, rices, pasta, pulses, dairy- they love eggs, yoghurt, cheese! Leftover produce, anything that goes over, is pre-eaten (bugs etc) or fails to flourish in the garden- often have an excess of pumpkins, aubergines/eggplant, tomatoes and fruit. Garden clippings; grass, vines etc. We purchase feed from the local produce store- a specific grain based pig grower. And a plant (sugar) based protein meal, from a local company. Feeding in a trough or off the ground is also a good idea where possible. As this not only reduces waste, but animals contract worms etc from being on the ground. Now I am not a vet and am not going to dish out advice about illnesses, as fortunately we have no experience with this. But we do regularly worm our pigs. Generally I dose thier feed, as this is more likely to be ingested than water. We also keep our mob 'light'. So not allowing (the boar in particular) to carry too much weight. As tthis can create a range of problems. Also having a dry environment for them in the wet season is vital in the tropics. As too much exposure to wet causes issues with thier feet and they become lame. Also as I mentioned earlier white/pink breeds do burn in the sun, and can suffer from cances just like us. And their final requirement is company. Pigs are naturally social animals and I would never advise having a solitary pig. They are a herd, or ‘mob’ animal and will seek company. Another reason they are known to make good pets, as if company from their own species is unavailable they will bond with people or other domestic pets (dogs etc). I have been asked whether boars have to be separated. As many people do this. We don't. But the Berkshire are known to be placid/docile breed. 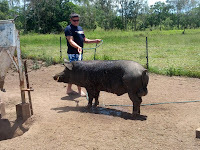 And we have handled our big boy since he was a 7 week old weaner. However we do respect his size and capabilities. As for whether it is worth it. You cannot just measure this based on monetary value alone. Kilo of kilo (or pound for pound) I think we worked out a grower was similar to that of commercially purchased mid-range pork. (so not the cheap stuff, but not the free range either). But more than that, we value the knowledge of everything that has (or hasn’t) gone into our pigs. And we also know how they were kept, and the lifestyle they had. And you cannot buy that kind of satisfaction. Besides as I mentioned earlier, Berkshires are a slower growing breed. They are actually renowned as the ‘wagu’ of pork, due to the marbling of the meat itself. So I cannot stress how much better it tastes. The patch is in and planted!